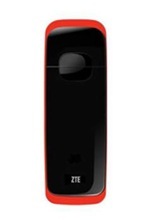 ZTE MF626 usb 3g modem is peak rated at 3.6Mbps* downlink speed.Operates on Telstra Next GT network for true wireless access to e-mail and internet on the move.Plugs straight into your USB port for a Plug and Play installation for Windows and MAC Operating Systems. It is small lightweight designed. Tri band 3G HSDPA/UMTS. Four colour LED status indicators. User Guide for Installation of Windows 7 Driver Package for ZTE Data Card. The Connection Manager installed from the USB modem does not include Windows 7 Drivers. The Connection Manager M03 does include Windows 7 drivers. b) Install the new Connection Manager (M03) after un-installing your current version. I have ZTE MF 626 Dongle. I wont to know,Is that compatibly with windows 7 os ? I hav a ZTE MF627 modem, can i use the zte mf626 3g modem connection manager with it? Why the link to Connection Manager (M03) is broken? thank’s for your info…for driver zte mf626 windows 7.
driver for ZTE MF626 modem not working in OS win 7. FZTE MF626 有沒有WINDOW 8 的趨動程式?